To cut a long story short I’ve got together with three friends and formed The Unnecessarily Long-Names Games Company. 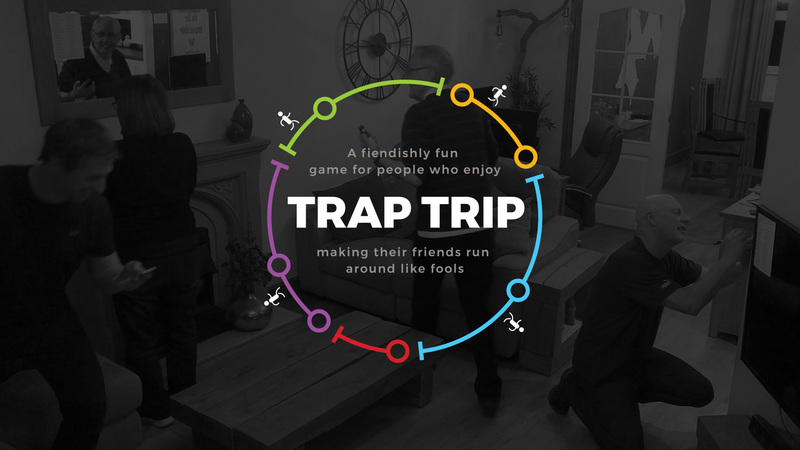 Our debut board game Trap Trip is now live Kickstarter (a crowdfunding platform) with the aim of hitting our target budget to bring the game to market. Good question! it’s a game designed to get people on their feet. It’s the ultimate ice-breaker at gatherings of family and friends – trust us when we say it’s a lot of fun. We’ve made a overview video to showcase the game, and a lot more details can be found on our Kickstarter page. Kickstarter is the ultimate win/win. It’s a crowdsourcing website that allows you to pre-order the game before it goes into production. If we hit our target budget the game is produced and you’ll receive your version. If our campaign fails to hit our goals then your bank account isn’t charged. As we’re a new start-up our marketing reach is small and getting the word out is a challenge. It would be hugely appreciated if you could tell your friends, share our Kickstarter link, and follow our social media channels (Facebook, Instagram, and Twitter). It would be AWESOME if you could make a pledge on Kickstarter to hit our goals too!